David D. Plain is a member of the Aamjiwnaang First Nation (Ojibwa) and a grandson of Chief On The Plain. He holds both undergraduate and graduate degrees from Tyndale University College and Seminary, Toronto, Canada. Always a lover of history, he has devoted much time and effort to his family's genealogy and how it has affected the history of the Ahnishenahbek of Aamjiwnaang. David has published four titles through Trafford Publishing. One title, "The Plains of Aamjiwnaang" won a Golden Scribe Award for excellence in the non-fiction category in 2008 and it was also a Finalist in the 2014 Eric Hoffer Awards. I’ve been very busy with my new book launch. Over the summer I will also be relaunching my previous works. So I shall be MIA until sometime in the fall. The plan is to return with more First Nation Stories from the post War of 1812 era. I look forward to sharing them with you then! In the meantime here’s the details on my upcoming launch.
" You may also try two of my books. I am a Native American historian/author writing from a Native American point of view. The Plains of Aamjiwnaang and You may also try two of my books. I am a Native American historian/author writing from a Native American point of view. The Plains of Aamjiwnaang and From Ouisconsin to Caughnawaga are non fiction covering native/European interaction from the 17th century through the War of 1812. The locale is the Great Lakes. 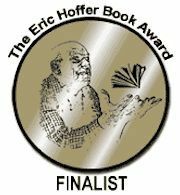 Both books were nominated for an Eric Hoffer Award with "The Plains" being a finalist. It also won a Golden Scribe Award for excellence in nonfiction in 2008. From Ouisconsin to Caughnawaga: Or Tales of the Great Lakes First Nations ...more "
We’d love your help. Let us know what’s wrong with this preview of The Orenda by Joseph Boyden.
" Hi Cristina! My name is Dave. Welcome! I am an Ojibwa from Canada. Our band's traditional territory straddled the Canada/U.S. border so I have many re Hi Cristina! My name is Dave. Welcome! I am an Ojibwa from Canada. Our band's traditional territory straddled the Canada/U.S. border so I have many relatives in both Ontario and Michigan. Some were removed to Kansas, but I have not made contact with any of them yet. We also struggle to get the U.S. to recognize one of our bands that was unilaterally amalgamated with a larger band in Michigan. Been fighting for this recognition forever, so I know where your at. ...more "
We’d love your help. Let us know what’s wrong with this preview of From Ouisconsin to Caughnawaga by David D. Plain. "The French may have won the battle, but it was at Fort Henry they lost the war. The First Nations held the balance of power at this time, and it was here that he lost them as trusted allies." Native American historian David D. Plain takes the reader on a romp through history in a collection of narratives of the Indians of the Great Lakes First Nations, and how they dealt with the ever-increasing flood of white man into their lands. Stories span from 1618-1818 C.E., and the book is divided into two parts–Allies with the French and the Allies with the British. The book consists of a series of blog entries, done over a three-year period, which the writer collected in a book form. The entries flow in chronological order. The author knows his subject well, and he's mostly concerned with the Indians of the Great Lakes, for example, the Ottawa, Chippewa, Delaware, and Mohawk, among other famous tribes. He highlights the difference between the French, who were the first settlers in the Indian lands, but who were mostly interested in the fur trade and didn't strive to take the lands away from the natives, unlike the British who not only sought the furs, but also land for their colonists. You can discuss Native authors, issues, or just chat here. Native American people or people interested in Native Americans are welcome. It's such a pleasure having you for a friend. Thank you and best wishes to you with your book launch and books. How are you? Thank you for accepting my friend-request and for joining Goodreads Tea Party (please check out the poll). Good fortune on your books. I wish you all the best. Please visit these groups when you have a chance: Happy & Brainy Group, To the Glory of Man, and Reason Reigns & Royal Serf. Have a marvelous Friday and weekend. Warmest regards.